Erika from MCM Mama Runs, Marcia from Marcia's Healthy Slice and Patty from No-Guilt Life.This week's topic is Running Weather. I used to think that running in 70 degrees was nice and slowly as I've learned more and done more races, I realized my ideal has changed greatly! Ideal temp would probably be 50-55. I have yet to run in low 50s but i love the chill in the air. I have used the chart above to help with outfit choices before and it has helped (especially during the WDW 5k, Frozen 5k and 10k where it was right around freezing. The closest I have come to my ideal temp lately was the Tinkerbell Half Marathon where it was 57 at the start-a bit chilly but felt great while running. I definitely think it contributed to my new Disney PR! How about you? How do you like your outfit and weather? Eating was great! I saved food and made enough food to have during the week and a bit for when I came back and it worked. I was able to throw food in the crockpot today and it'll last me until I go to Tempe this weekend! NYC had great food but I definitely had more gluten than I needed to have! I couldn't pass up tasting wedding cake and Italian food. No regrets even with the bloating and uneasy stomach. I averaged about 7 and half hours of sleep but that doesn't include my naps. I couldn't sleep on the red eye and only got 2.5 hours of sleep but was able to see a gorgeous sunrise and also sleep before my long run. I slept a lot the rest of the days I was in NYC which was great. My goal is to get 8 hours of sleep before heading to Tempe and try and sleep there as well. Starting my summer class went well but being in class for 4 hours is rough. We are moving fast and luckily I worked hard to finish all of my reading before class started-one less thing to worry about. Assignments will go quick so I'm going to Try to set aside time this weekend to help with that. NYC was incredible and seeing my first friend at college ever get married to the man he loves so much, warms my heart. And hearing them complain about their rings is also hilarious as they have never worn jewelry haha. This week is just getting through until the three day weekend! I will be Tempe all weekend as the USC baseball team is playing at ASU. As you have probably noticed, my blogging has been less than consistent! Maybe this is because of all of the traveling I have been doing so much traveling! Since April 12th, I have been on a plane every week for 8 straight weeks! Me and LAX are on BFF basis and it has been so crazy but amazing. May 27th-May 30th-Tempe for a nice and relaxing weekend! All happy things but also so stressful. I basically unpack and repack. and all of this packing while still being in school and dealing with work things so it is always busy! I am excited to be back on Monday and not have to fly again until July! I prefer Window seats. I got a few aisles seats and I noticed they had less room at your feet which I did not like. I also prefer a window for sleeping on red eyes. Driving to LAX works for me. I started driving again to LAX and I find it so much easier than getting a ride. I love terminal 1 and 6 and hate 3. At LAX, Terminal 1 was redone and it is awesome (Southwest), and Terminal 6 is also redone (Delta). Terminal 3 (Virgin America) is not good as the set up is a circle. There is not much food and not many seats and security is a mess. Red eyes are getting tougher as I get older. I used to take red eyes and be okay with it, but now I struggle. I think I figured out it is not taking a nap early. In Orlando, I try and stay up and I think that is not working. In NYC, I was able to sleep right away and felt much better throughout the day. How about everyone else? Anyone doing a lot of traveling lately? The expo was basically an expo! I was able to get out of work early and headed down right at 5. It took forever to get on the freeway but then it was regular traffic. I packed dinner in the car ( pasta and yogurt) and was able to finish it before getting on the freeway. I got down in a bit over an hour and dealt with parking. There wasn't expo parking (I saw it when I left) so I made the block and parked at Mickey and friends which took 15 min. I walked over to the expo and used the restroom before getting my bibs. I was there forever haha. I got my 5k bib, then got my challenge bib. I also found my name on the legacy wall and got my gift, then got my preorder jacket. 15 min later and I was off to get my shirts. After that I went to sparkle athletic to get wings, got a pic with Jeff Galloway, and bought dumbo shoes I'm going to use for the parks, and then stopped at KT tape because there was no way before I made my way to official merchandise. I spent way too much time debating sweatybands and ended up with two. I had just enough time to grab some free goodsense and then since there weren't any drinks, I stopped at ESPN for a quick margarita. I went to the hotel to check in and unpack and get ready. I finally got in bed at 9:30 with a 3:15 wake up call. What's the last expo you went to? Find anything good? Erika from MCM Mama Runs, Marcia from Marcia's Healthy Slice and Patty from No-Guilt Life.This week's topic is repeating races. I am a creature of habit and when I find something I love, I often stick with it. I also love to try new experiences and branch out. Nothing is different with races and even though over the past 15 months I have branched out, I continue to do the same races over and over. 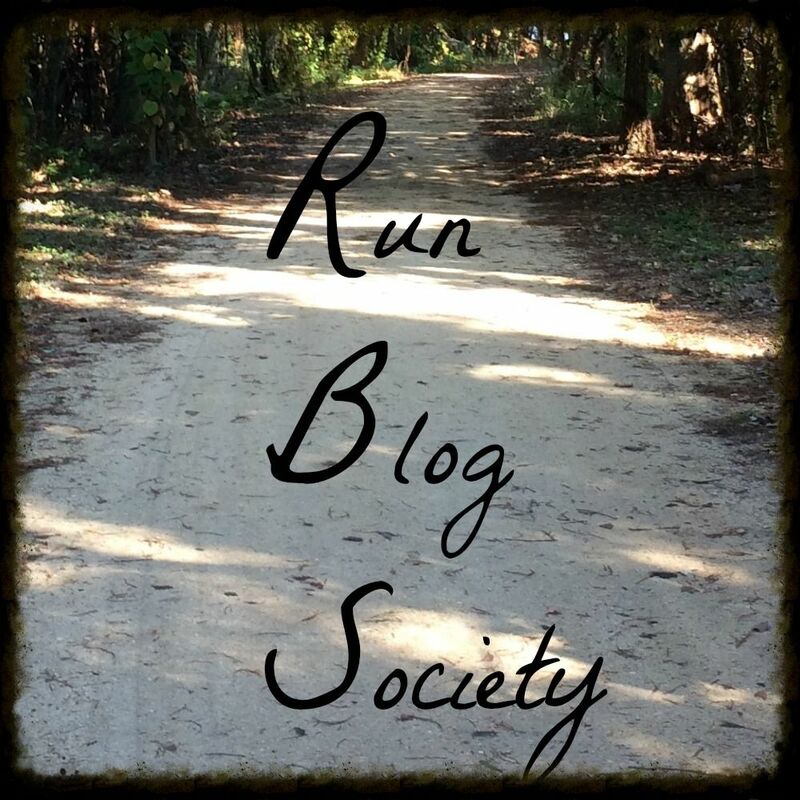 For all of my race recaps, make sure to check out the page! My top races are of course rundisney ones. I continue and will continue to do these as the basis of my running schedule. I know the internets are up in arms over many of the races but for now, they are serving their purpose for me: wearing costumes, taking great pics and having fun with friends. The addition of photo pass taking race pics is truly a game changer! As I get faster, I get to take all of the pics i want without it being too crowded and then running my pace in the meantime. I love it! I am always in for inaugural races and then can decide from there which ones I continue and which ones I don't. Carlsbad 1-miler and 20k-what a fun race day! I had such a good weekend and also good running. Surf City 10 miler-I've never done a 10 miler before! I keep a bucket list for running that I do update. To be able to do many of those runs, I will need to travel and fit them in when I can. Once I'm done with school, hopefully that will make it easier to do! How about you? Do you often repeat races? and if so, why? This picture makes me happy as not only am I now an official legacy for #tinkhalf but also because when I ran the first one, Buena Vista (and Carsland) wasn't open yet. How much Disneyland has changed and how much I have changed! The Tink half was my 2nd half, rundisney race and medal. Today was my 25th half, my 42nd rundisney race,my 14th rundisney challenge and my pink coast to coast was my 65th rundisney medal!! I had a Disney PR (2:32:56-which is a time I would have freaked for during my first Tink half) which included 10 stops and if it had been a half I didn't stop for, I would have PRed. So much fun and I can't wait for more! Staying at universal was great as we were club level with breakfast, snacks, and dinner included. Getting back, I went grocery shopping and have my meals planned until I leave for NYC on Thursday! I averaged about 8 hours of sleep last week. Sleeping during Tink was super off and then Universal made it worse. Sleeping 10 hours on Saturday seemed to do the trick! I feel pretty good. My goal is to sleep at least 8 hours as I need to get ready to head back to the East Coast. Between Tinkerbell half marathon and universal studios Orlando, I have been having so much fun. Tink was amazing (recaps coming!) and surprising my siblings in Orlando was amazing. We had so much fun running around! Last Friday was Commencement and it is sad to see our students go but also I'm so happy for them! Now for summer where work will be much slower but we have a lot to get done. And my summer classes start this week! One of my favorite race pics of all time! Love hanging out with these cool kiddos!! This race started out very interesting. I had trouble sleeping (potty break, random knocking and loud noises made sleeping difficult) but I got up at 4:25 and got dressed and was on the bus at 5. I made my way to the start area (which was a different set up than other races) and I dropped my bag off and then went to the corral and use the Porto just to be on the safe side. I walked by the corral about 5:30 and it was full and I got in the short Porto line. I walked over when I was done and A was gone and B was walking. What? Walking early and with no warning? A group of made our way to the front and they would not let us go into corral A! Ugh-all because I used the porto because the lines outside the runners area was long. I was mad but tried not to be too upset but knew I would probably have to sacrifice a picture stop. Usually they walk A up about 15 min before and B stays so I don't know why they did it differently this time. After the national anthem (which again was hard to hear because the speakers were almost non-existent), A corral went off and we went off 6 min later. One great thing is I was pretty fast for the corral so I was at the front and in the first 100 or so people for the first mile so it was pretty wide open. If this is what elite and the leaders feel like, I'm jealous. You go your pace without having to slow for anyone! I saw lights and saw a random display. It was a broken at-at arm at .75 mile. I don't know if a character was supposed to be out but it was so random! I decided to pass it to get to a character. I hit mile 1 at 9:30 pace pace and knew I needed to slow down but didn't have any pain yet. I took more walk breaks and as we headed back stage R2d2 was right before mile 1. The line was crazy (and I heard people waiting 30 min!) so I skipped him. We headed backstage behind test track and into world showcase by Mexico. We hit a water stop outside of China. The Rebels were out in America but I skipped them. I really love running through world showcase with the torches going and Star Wars music playing. By this point, I figured out how the photo pass would work. You would see green balloons and that was them! Sometimes a bright light would be shining with green tape on the ground. I took lots of pics running around world showcase and it wasn't that crowded. Chewbacca was outside the international gateway right before mile 2. I stopped for a pic with him because I've always loved chewy! We headed backstage for another water stop and entered in UK to finish up world showcase and go into future world. I hit mile 2 in about 11:00 min running pace. Through future world I stopped for a Pic with ranger Mickey topiary, Pic with Epcot ball, and Pic with Stormtroopers. This is where the course was a bit different as we went around the left side of spaceship earth and outside to the parking lot instead of by the land and Nemo. It reminded me Of the wine and dine finish. Without that extra Epcot area, there was a lot of parking lot but more opportunity for photo pass pics. Once I finished, they handed us a lot of food and snacks and I took a medal pic for the first time. Isn't the banner they added in later so cute? One thing I think was an improvement was having photos available before and after the half. I waited for one pic a day after each race. Today was Darth Vader and I love the pic! It was used on Instagram from both ProCompression and rundisney itself! The list of characters available were: Bb8, Darth Vader, stormtropper, Darth maul, phasma, sarlacc pit, jabba the hut, and Han in carbonite. Overall, I enjoyed the 5k, I just wish I would have been in my correct corral! I LOVE the photopass pics. I do wish that the course spent a bit more time in the park as the parking lot at the end was a bit too long. I wish there had been 1-2 more photo stops in the park. With the new course ending, the buses were back where they drop you off so it was a long walk back to the bus. At least mine was there waiting! I headed back to the hotel where I graded papers and then we spent all day at Magic Kingdom where we really maximized our time with the ability to book the extra fastpass through the app. In total we did about 10 attractions all day (including the parade in the rain!) only using fastpass. We also had an awesome carbloading meal at Jungle Canteen. We ended so early that I was able to go to Ecpot and ride Spaceship Earth and still get back to the room before 7! I would highly recommend this race! What's the last 5k you did? I am down in Anaheim for the Tinkerbell Half marathon and over to Orlando for a short Universal trip with my family! 3. Ankle, Feet and Calf Stretch every day- I did this about 75% of the time and it made a difference. I think doing it every day will be even better. 4. 2 glasses of water at night, 1 in the morning: I am drinking enough water at work but I seem to be struggling at home! 5. average 7.5 hours of sleep : getting into bed at 10 will help with this.